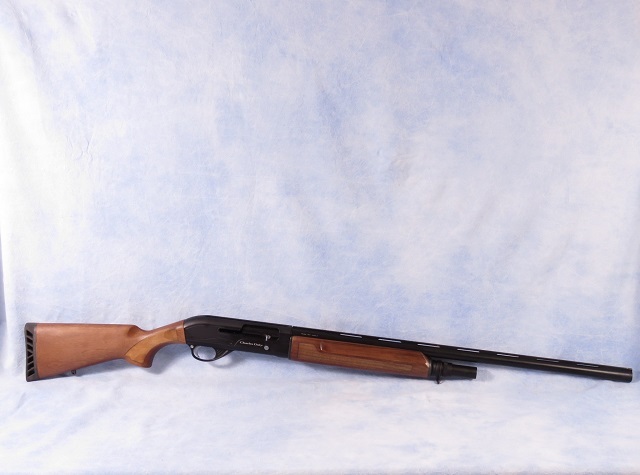 Charles Daly model 601 semi-auto shotgun chambered in 12 GA. This features a 25" vent rib barrel with removable chokes, manual safety, black finish, and a hardwood checkered stock. 3 chokes are included.